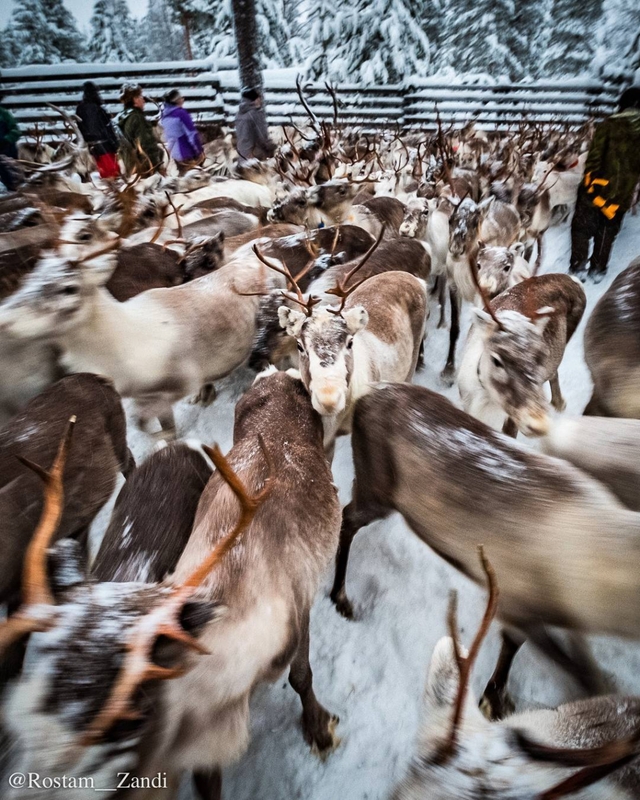 Have you ever been inside a reindeer stampede? this was my first #reindeer separation / gathering and what an experience! I remember thinking that I will get a reindeer horn in my private parts any second… But guess what, they never even came close to collide with me. These animals most likely are more aware of you than you are aware of them . Once again, many thank yous to @samperin_savotta for making this experience possible, and without a doubt a #memoryforlife ! Posted in Adventure, Me, Photography, Photojournalism and tagged Above Polar Circle, abovepolarcircle, arcticcircle, ArcticCircle, finland, Finnish Lapland, finnishlapland, Laponia, laponie, lappi, Lappland, memoryforlife, Photography, Polar, Polar Circle, polarcircle, poro, reindeer, Ren, renna, renne, reno, rentier, Samperin Savotta, samperinsavotta, savukoski, thisislaplander, tonakai, visit_savukoski_korvatunturi, VisitLapland, VisitSavukoskiKorvatunturi, олень, северныйолень, الرنة, トナカイ, 驯鹿. Bookmark the permalink.